A rumor of a possible military coup against Pakistan’s sitting though often invisible president, Asif Ali Zardari, made big headlines in the country this Christmas weekend. Leading newspapers claimed that a selection of top army brass had met in early December with leaders from the Pakistan Muslim League (PML-N), a party led by two-time former Prime Minister Nawaz Sharif. According to The Express Tribune Pakistan, the army gave the party leadership blueprints of a plan that involved throwing out the present government with the help of the judiciary and holding fresh elections within three months. Swift denials from both the PML-N and the army followed the news, even in the face of Prime Minister Yousaf Raza Gillani’s very public claims that there was a “conspiracy” afoot to depose the elected Pakistan People’s Party (PPP) government. Not to mention that the President’s recent sojourn in Dubai left many wondering if he was returning at all. The claims came in the steaming aftermath of “Memogate”—an ambitiously named crisis resulting from the revelation that a secret memo had been sent from the highest levels of the Pakistani government to Admiral Mike Mullen, then-chairman of the joint chiefs of staff, in mid-2011. The memo, written right after Osama bin Laden was caught, asked the United States to side with the PPP government against Army Chief of Staff Ashfaq Kayani and ISI Director Shuja Pasha in the event of a possible coup. The memo also provided a list of concessions to the Americans should they be inclined to help, including a new review committee on how bin Laden was hiding in Pakistan in the first place and the development of “a new framework of discipline” for Pakistan’s nuclear arsenal. Needless to say, it was a very unusual thing for a nation concerned with sovereignty to ask of an ally. After begrudging admissions of its existence from Mullen and others, the memo went from rumor to scandal and eventually led to the resignation of Pakistan’s ambassador to the United States, Husain Haqqani, who may or may not have used American-Pakistani businessman Mansoor Ijaz to deliver the memo. So the PPP does seem to be genuinely worried about a coup; otherwise, presumably, it wouldn’t have taken the grave step of asking the United States to help it fight its own army and intelligence services. And yet, there are a number of reasons why a coup seems unlikely, at least at the moment. For one thing, it seems difficult to imagine that Nawaz Sharif would support a military takeover, since this was exactly how he was ousted in 1999. Earlier that year, Sharif had a meeting with President Clinton, a meeting that was recently discussed by the only other man in the room at the time, former White House official Bruce Riedel. According to Riedel’s recent statements, Sharif was asking Clinton then for exactly the same support that was the crux of Memogate: an assurance from the United States that it would support the government in the event of a coup. Later that same year, Sharif was exiled and General Musharraf took control of the country. 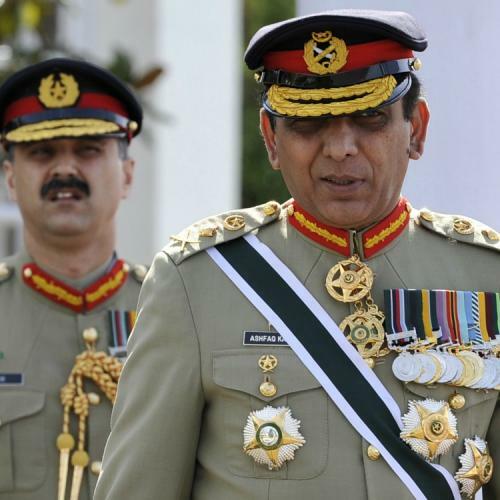 But perhaps the biggest reason a coup seems unlikely is that, for the first time, there seems to be a real sense in the country that if the military does interfere with government again, Pakistan would have lost a major opportunity. Pakistan has never in its entire history, not once, been able to transition power successfully from one elected government to another. This has been in part because of civilian and international complicity when it comes to military actions. When Musharraf took over in 1999, for all the talk of a loss of democracy, he was welcomed and considered a popular leader. He also received generous American support after September 11. This time, however, there is an urgent need among Pakistanis to prove that we can transition civilian governments, even once. The “lawyer’s movement” and its protests against Musharraf in 2007 created a set of expectations for Pakistani democracy that have lasted to this day. Should the army try to depose an elected government now, even one with a leader as unpopular as President Zardari, there is likely to be a major fallout. A fallout so large that it may dissuade the military from trying at all. May. Komail Aijazuddin is a writer and artist in Lahore, Pakistan.